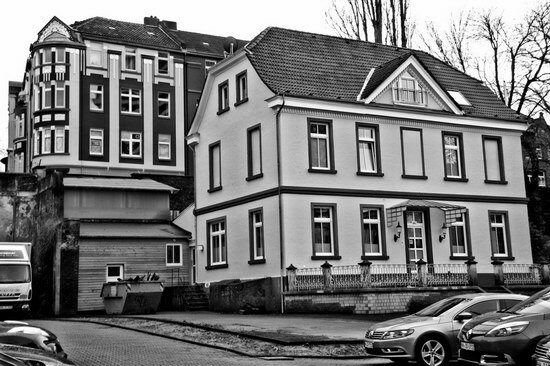 The old house on Mülheim’s Dickswall from a reasonably unobstructed perspective, standing on the sidewalk. The building next to it with the round corner front is actually not beside it, but up on the Muhrenkamp about ten meters or more higher. 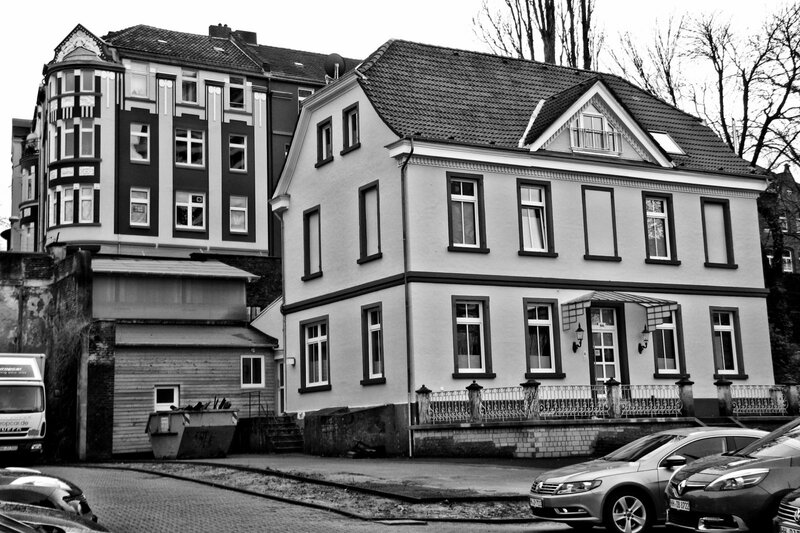 Strangely, the so-called Herrenhaus itself doesn’t seem to be protected as a historic building, although many other houses in the vicinity including the whole block we ourselves live in are. The latest renovation makes it look quite good again – the house had several owners in the past including a recording studio and a ceramics art shop, but it now is in the hands of a foundation who turned it into a sort of emergency home for young girls. This at least an explanation why they chose to paint the windowframes pink of all colours, which of course you can’t see here in this black and white image. Two more photos of the house are coming, maybe I’ll show the last one also in colour.